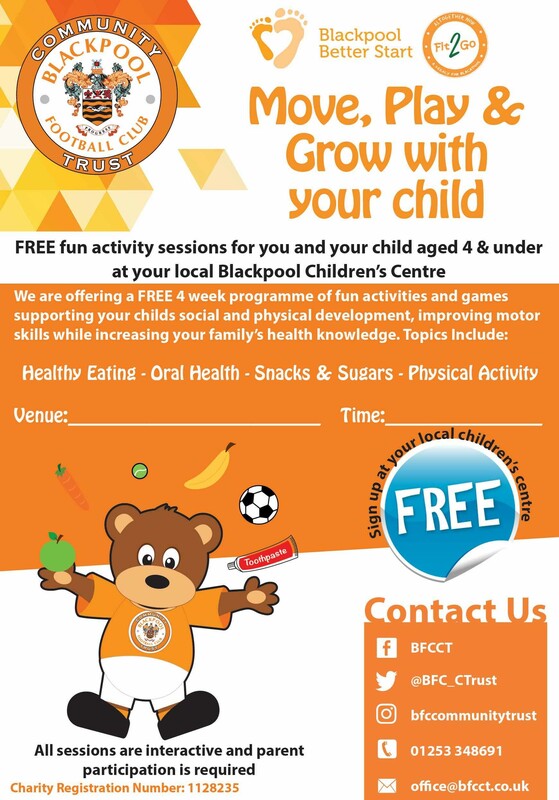 Move, Play & Grow with your child is our FREE four week Healthy Lifestyles programme designed to motivate families with children four and under across Blackpool. The program will use fun games and interactive activities to support your child’s social and physical development while increasing family knowledge of the EatWell Guide, healthy snacks, physical activity and oral health. 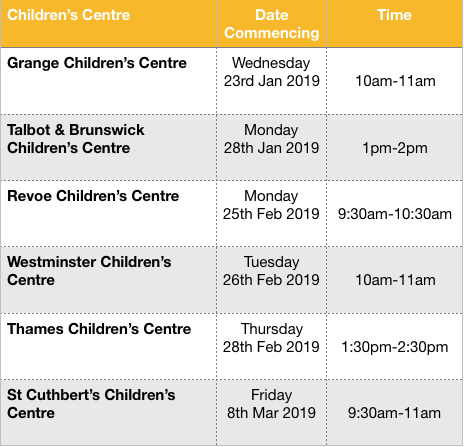 Working in partnership with Better Start Blackpool, the programme is delivered by Blackpool Football Club Community Trust and runs on consecutive weeks at Blackpool Children’s Centres. We will be helping parents/carers to pick up tips and advice on how they can implement skills they have learnt on the programme. This advice covers topics such as label reading, providing ideas of fun physical activities to try at home and how families can lower their sugar and fat intakes. All participants will also be provided with a workbook to guide them through the programme and to keep for reference in the future. Families completing the programme will also be awarded with a Better Start activity pack. Rory Knowles is a young father of three and attended our Better Start Fit2Go healthy lifestyle programme at Revoe Children’s Centre with his dads group ‘Dads 4 Life’. As someone who once led a sporty lifestyle, Rory was always very inquisitive and showed a real interest in how health subjects covered on Better Start Fit2Go would benefit not just him but also his three young children. Rory had believed he was making healthy choices for him and his family, until he realised how confusing the packaging was on some of his favourite products. Having completed the Better Start Fit2Go Programme, we were pleased to see Rory and his children attend our Family Fit2Go sessions at Baines Endowed Primary. The Family Fit2Go sessions incorporate health topics and promote physical activity for all of the family.